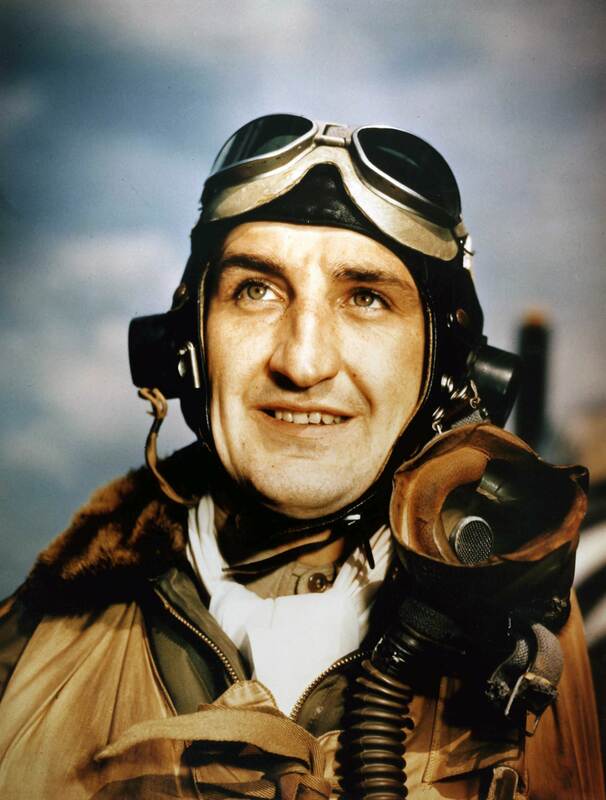 Color photo of the Second World War: Portrait of American (Polish-born) fighter pilot Francis “Gabby” Gabreski (Gabiski). He flew fighters P-40, Spitfire and P-47. Francis “Gabby” Gabreski shot down 28 Luftwaffe aircraft during the war. Later, during the Korean War, he gained 6 more personal and 1 group victories.